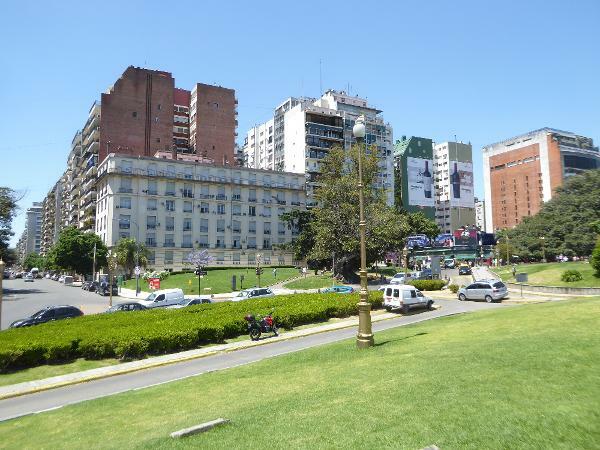 In Buenos Aires: Plaza to Suburb, 1870-1910 (1974), James R. Scobie writes of the central distinction in Argentinian society between the gente decente and the gente de pueblo--the well-bred and the unwashed. Scobie was writing of the late 19th century, but the difference hasn't gone away entirely. 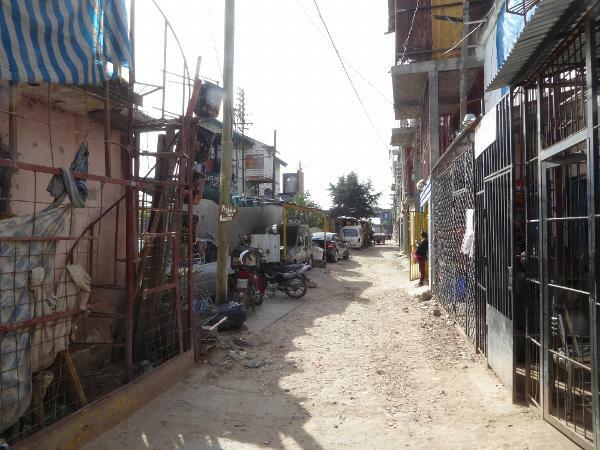 Here we look at the two extremes, separated by a rail yard. We're up at the north end of town, the pricey end. 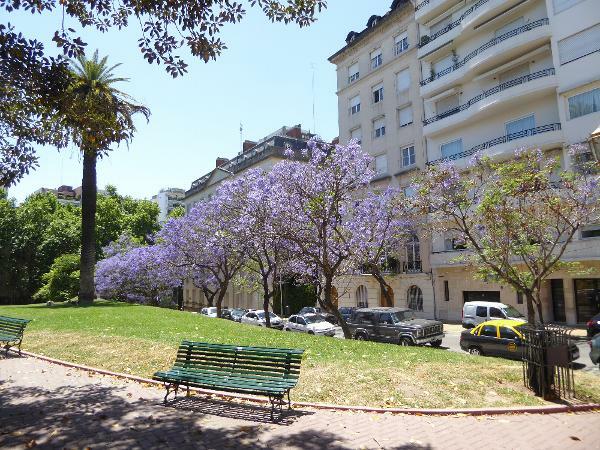 We're in the Plaza Francia, designed in 1909 by the same Charles Thays who designed so many other parks in the city. 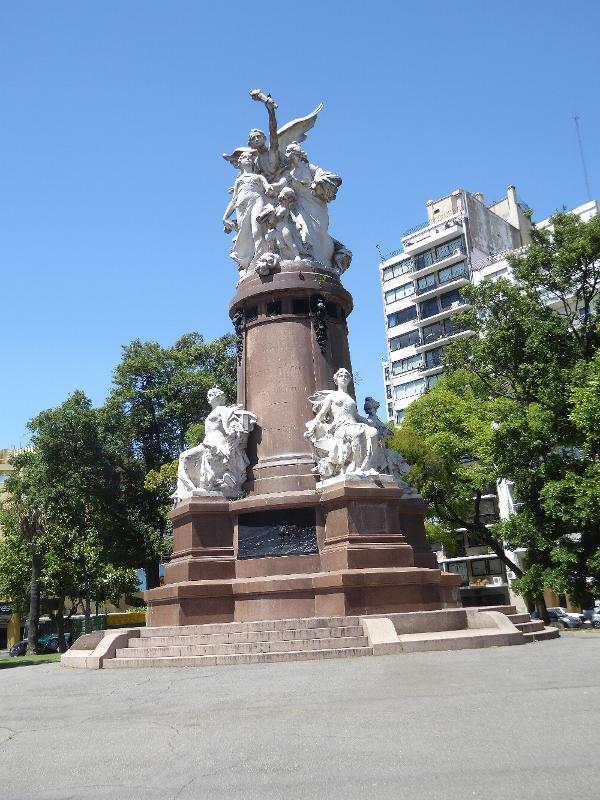 The statue, placed in 1910, was paid for by the French community in the city and is yet another celebration of the centenary of war for independence. 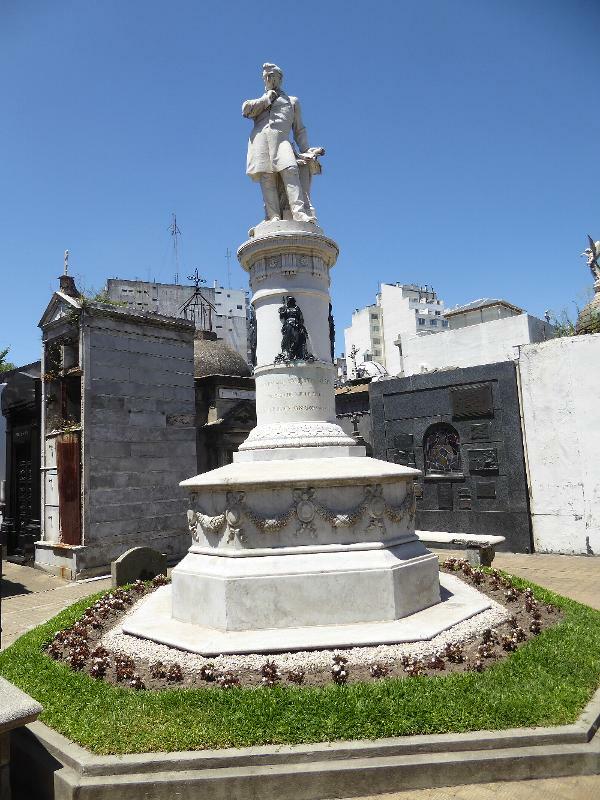 Emile Peynot created the figures, representing Argentina, France, and the guiding angel of glory. Which young woman is Argentina? Pretty easy to tell, wouldn't you say? 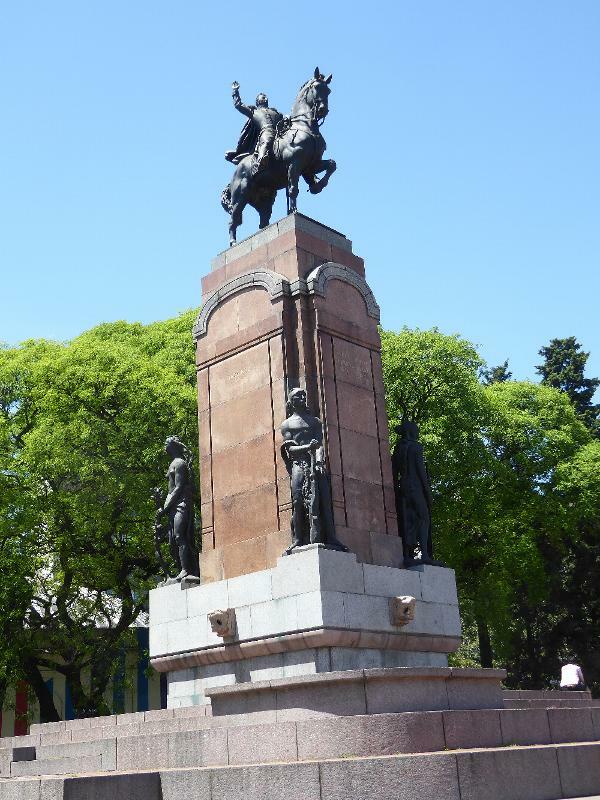 Three hundred meters to the east, there's a statue of General Carlos de Alvear (1788-1852), who defeated the Spanish troops at Montevideo in 1814. It, too, was shipped from France, but the sculptor was Antoine Bourdelle (1861-1929)and the date, 1925. If the horse rears, you expect to hear a "Hi-yo, Silver!" 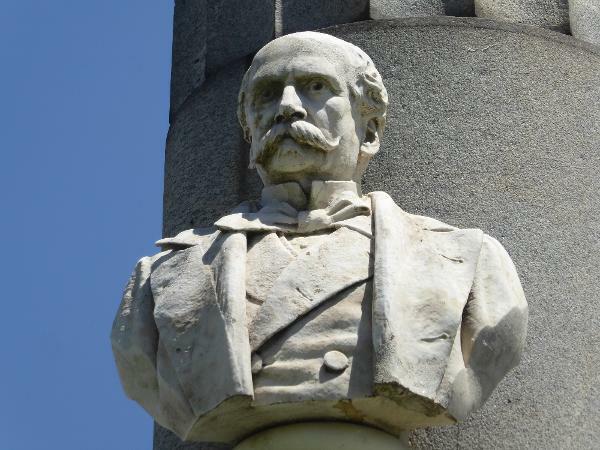 It's not so far-fetched, either: General Alvear was the first Argentine ambassador to the United States and served a long time, from 1838 to 1852. 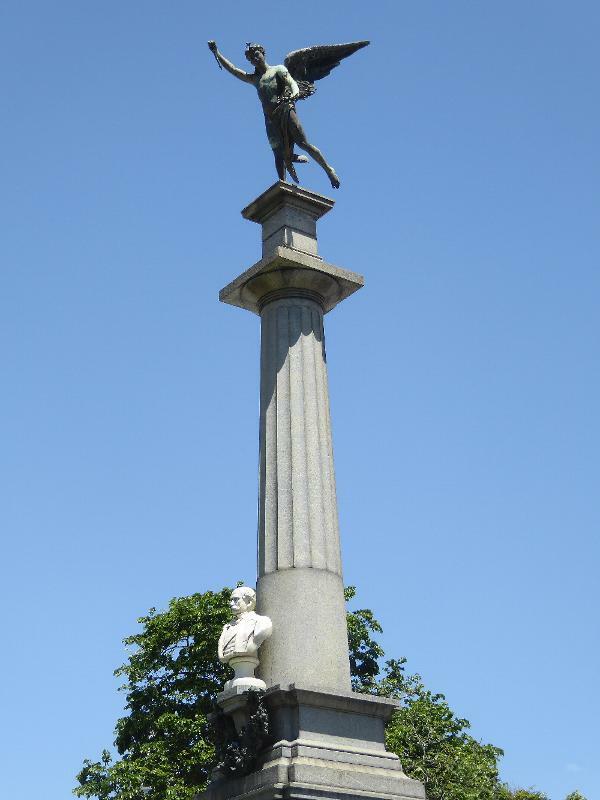 The figures at the base are allegorical; the woman on the left, holding a vine, represents liberty; the man, holding a rough club, represents force. 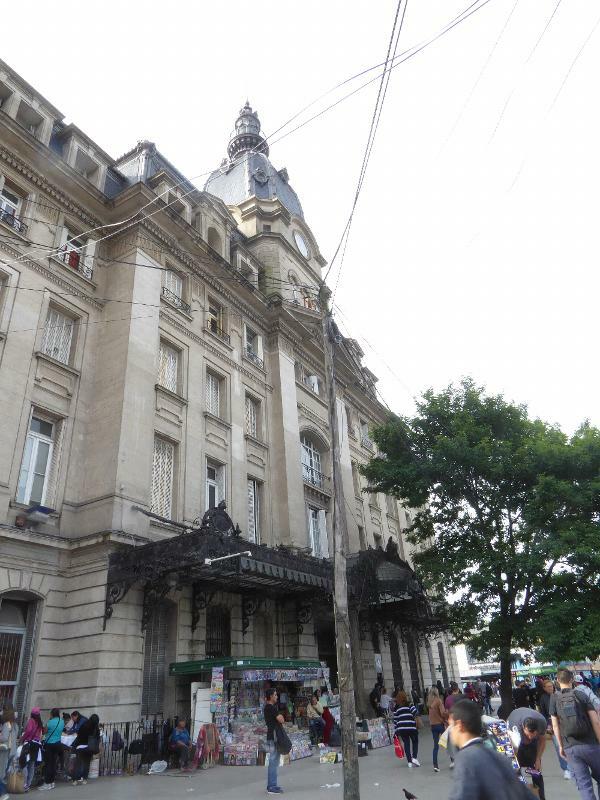 And here, with a clear line of sight to his father, is the politically conservative Torquato Alvear, the city's first intendente, or mayor. Serving in that capacity from 1880 to 1887, he was the driving force behind its Parisian ambitions. 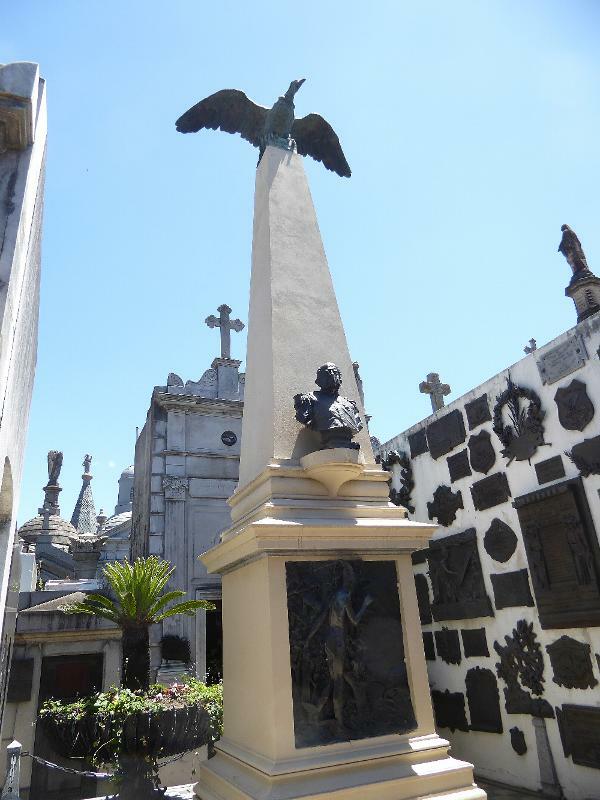 Alvear died in 1890, ten years before this monument went up. 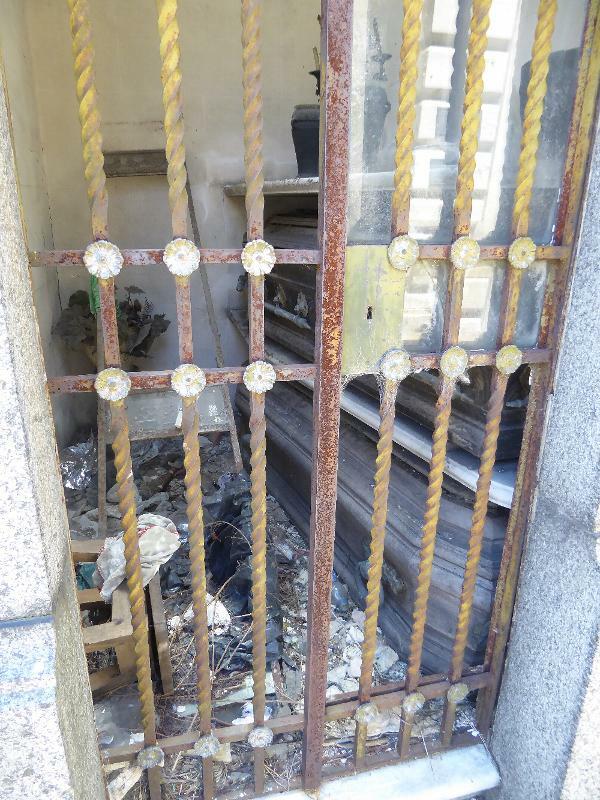 He's looking this way, down Avenida Alvear. It's about the priciest real estate in town: even the one-percenters are stacked up in this city. Would Alvear be impressed? I suspect not. A few are lucky enough to have a view of palms and jacarandas, but they still have to put up with neighbors. The street's only five blocks long, but along with apartment buildings has the city's priciest hotels, including the Alvear Palace, Hyatt, and Four Seasons. 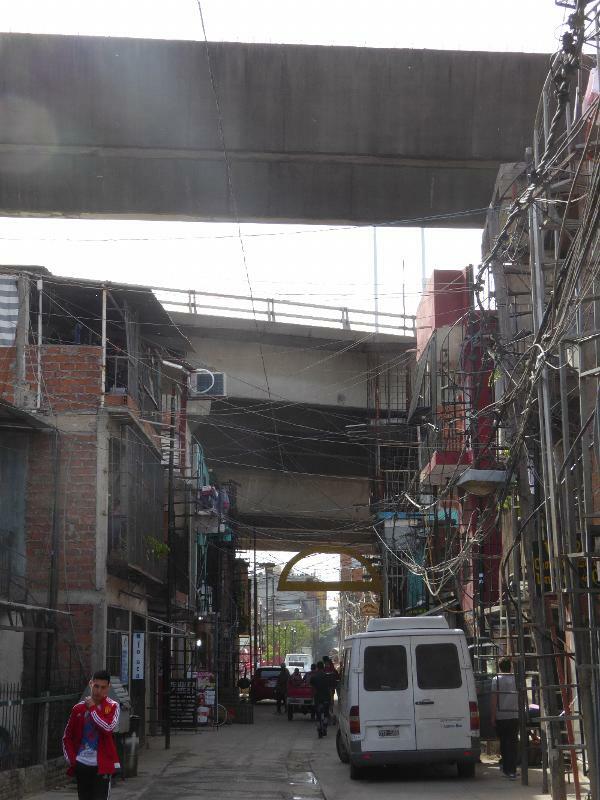 Oh, and the French embassy is here, as well as the Jockey Club, home base of the gente decente. 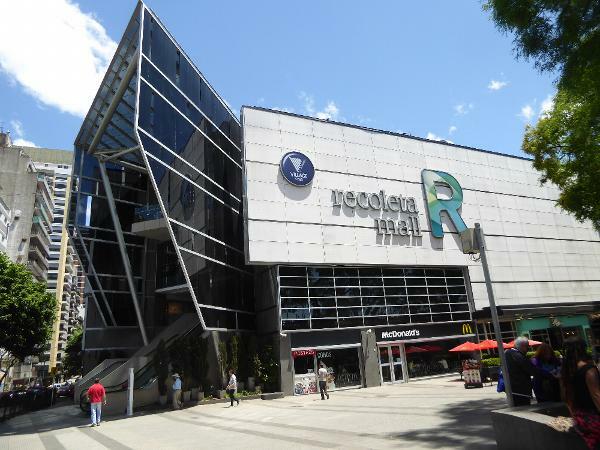 On the site of an old movie theater, a mall opened in 2011. I apologize for the McDonald's: some things are simply beyond our control. 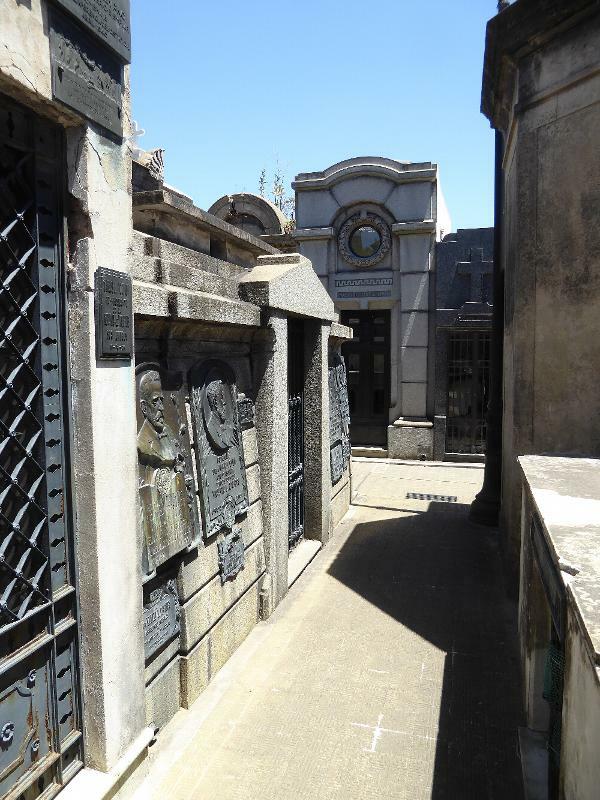 And when we've shopped our hearts out, we can retire (permanently) to the Recoleta cemetery, which offers prestige in perpetuity. 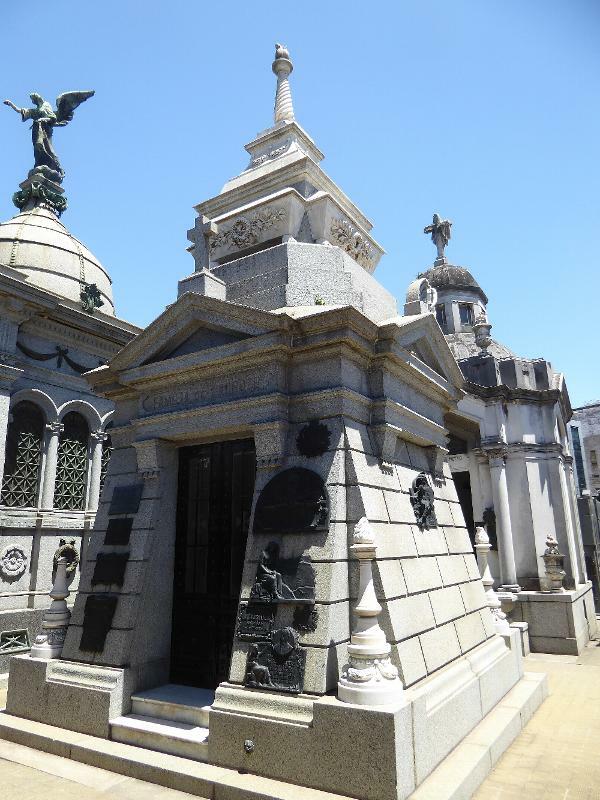 The entrance was built in 1881 and designed by the same Juan Buschiazzo who designed the San Telmo market. 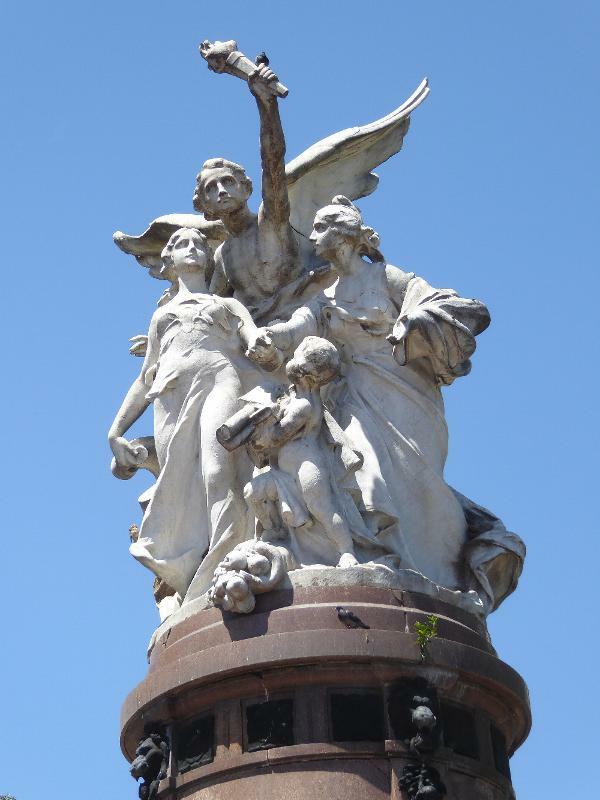 And here's Argentina's President Domingo Faustino Sarmiento, with a soaring condor created by the same hand, Victor de Pol's, that designed the quadriga atop Congreso. "Now where did I leave the keys?" 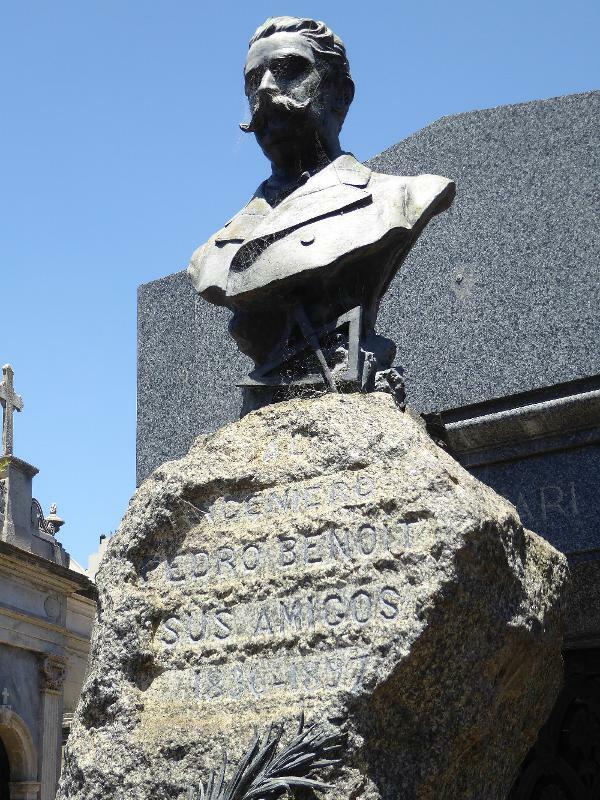 So ponders Valentin Alsina, a law professor, provincial governor, and according to the monument "modelo de virtud civic." Here's an unusual one. 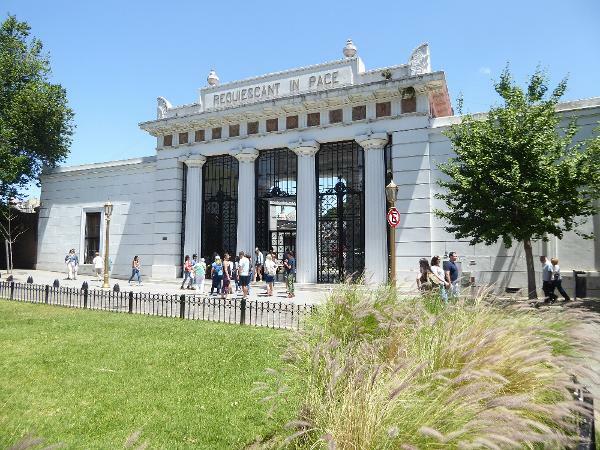 It belongs to the engineer and architect who created the layout and many of the buildings in La Plata, the city that became the capital of Buenos Aires Province in 1880. 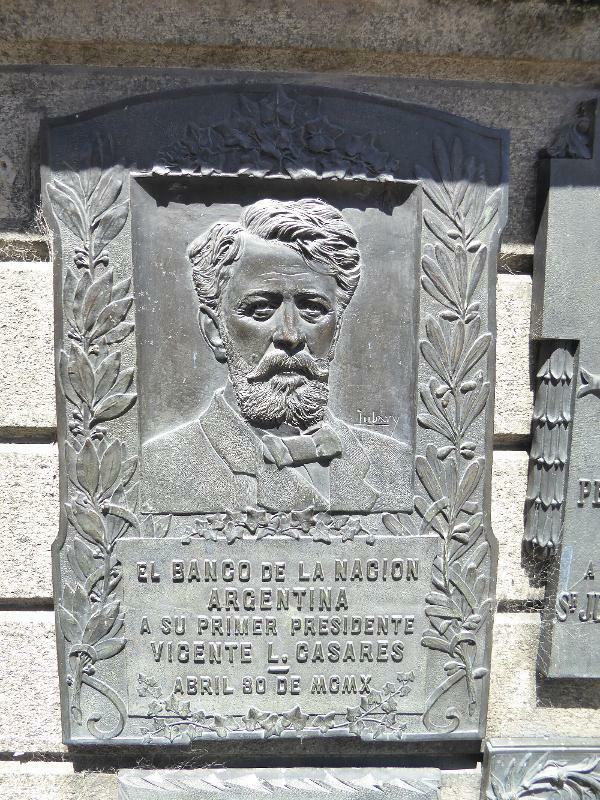 The woman is presumably his widow, Dolores Vazquez de Benoit, whose name appears at the base. Pedro Benoit, 1836-97. His tools--compass and triangle--are altogether appropriate, especially if you look at a map of La Plata, where he exercised them to the full. Here's the Lacroze family. 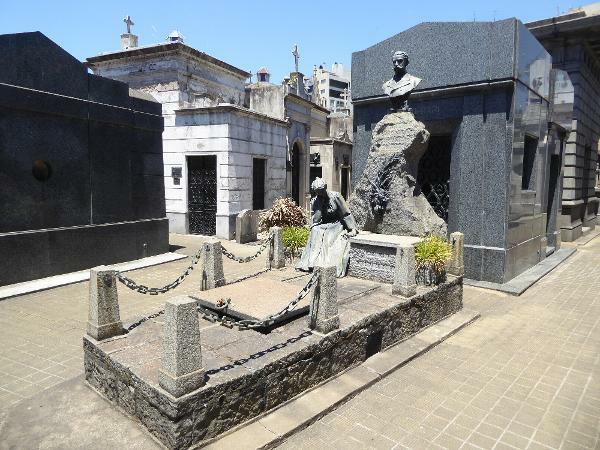 Federico (1835-1899) established the city's first tram line, as well as the Buenos Aires Central Railway. 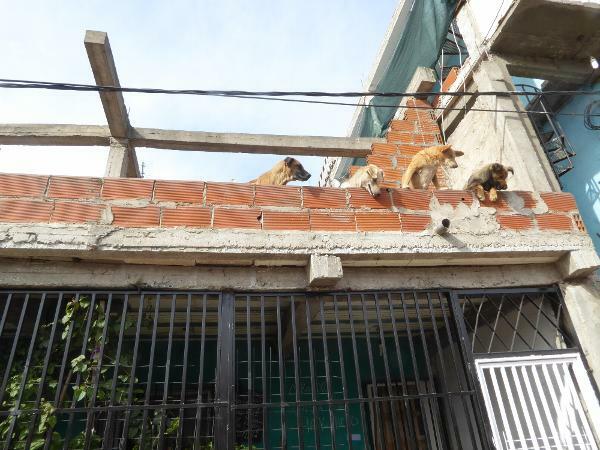 Not much of a view here for these fellows. Surprising, really. 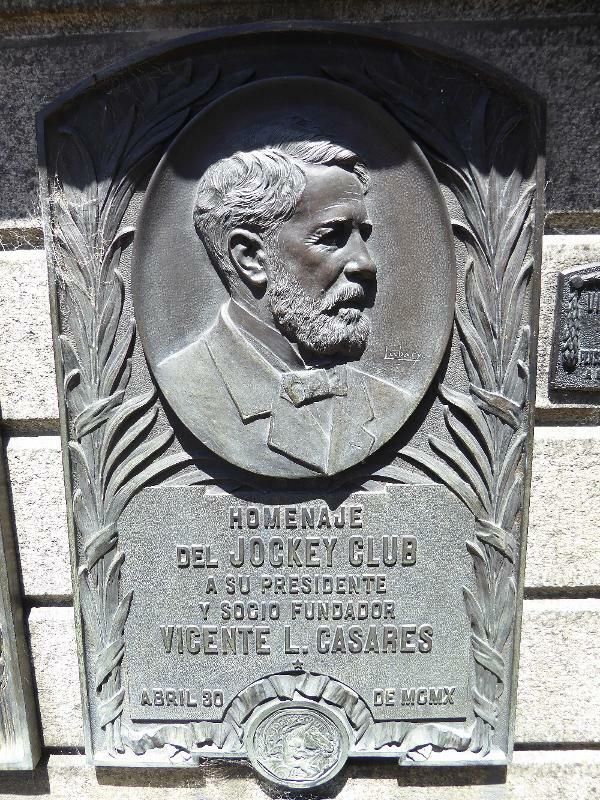 Here's Vicente Casares, first president of the national bank. 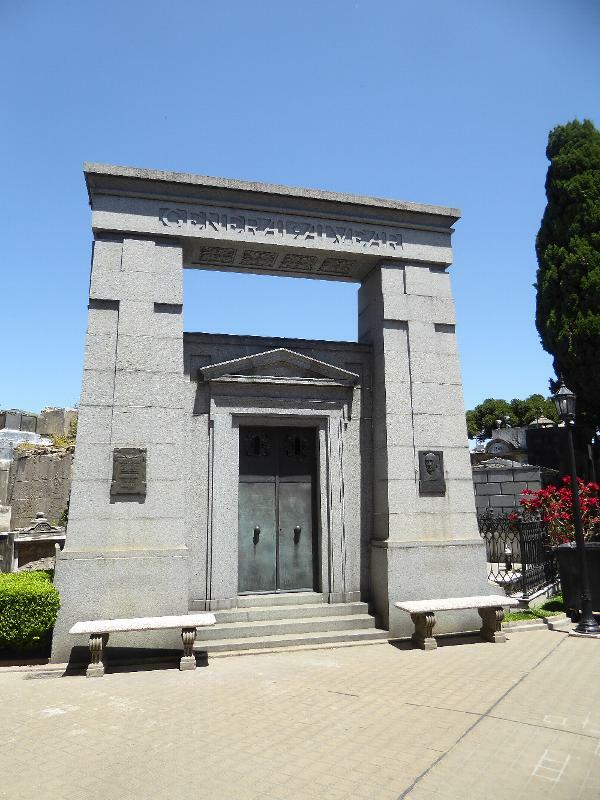 And here's the tomb of a Nobel prizewinner in chemistry, the biochemist and physician Luis Federico Leloir. 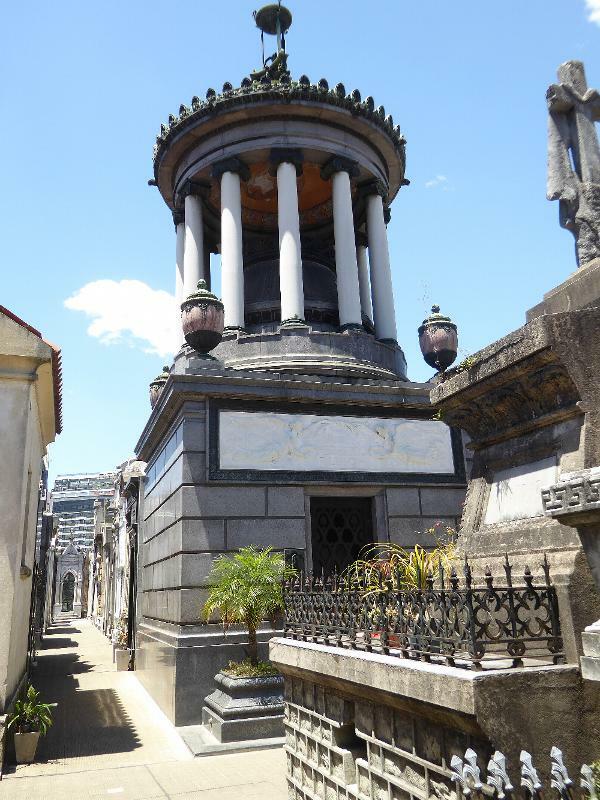 Some of the tombs--there are about 5,000 vaults in all--are in poor shape. A weathered and minimally protected casket. Enough musings? 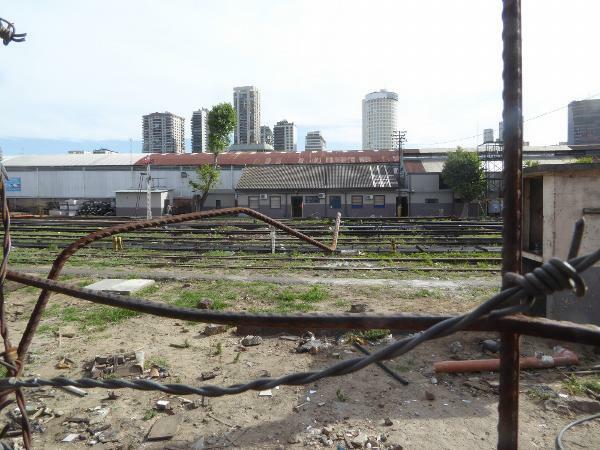 Fine; we'll go a mile to the east and pass the Retiro Belgrano station, built by the British-owned Cordoba Central Railroad. 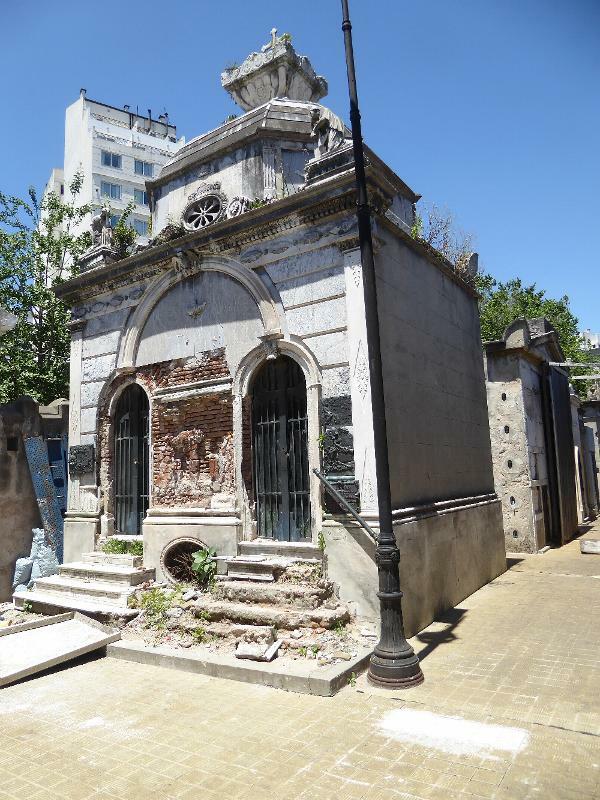 Rather than building west from here, the line actually opened first from Rosario to Cordoba and was only allowed to come to Buenos Aires in 1903. The station was completed in 1912. See any gente decente> Me neither. 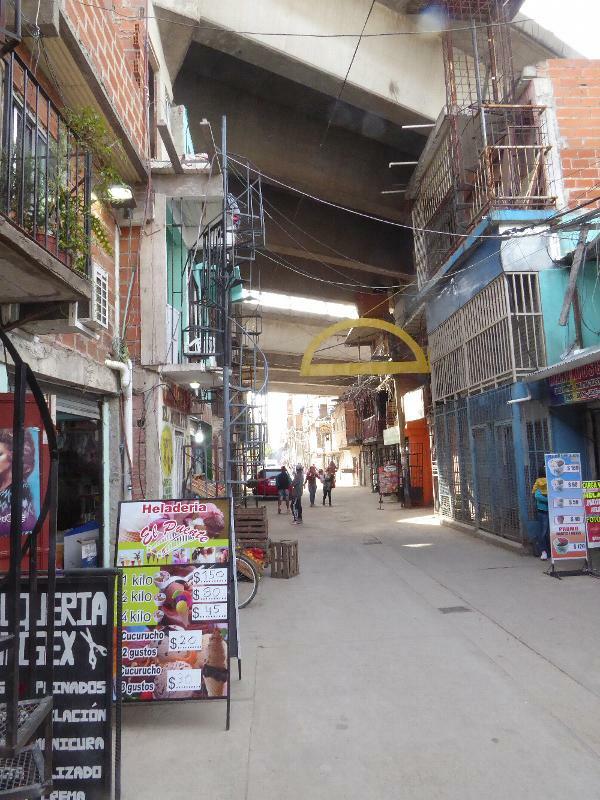 We're only a kilometer from the Avenida Alvear, but what a difference a few tracks can make. The cylindrical building is the Torre Pro Urban, and the Four Seasons hotel is just a stone's throw beyond it. 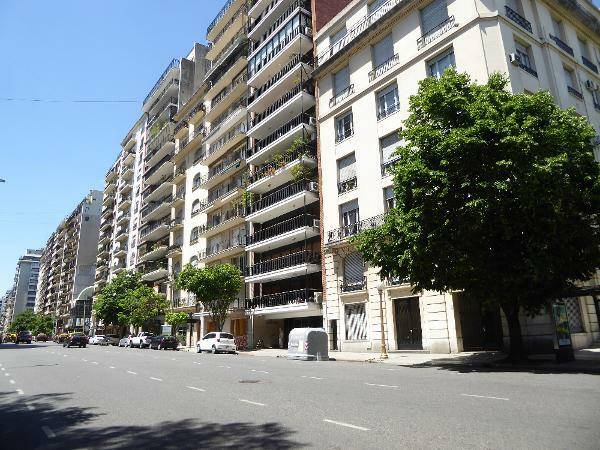 Most of the other highrises are residential and lined up along the Avenida de Liberatador. On this side of the tracks, however, we're in Villa 31. 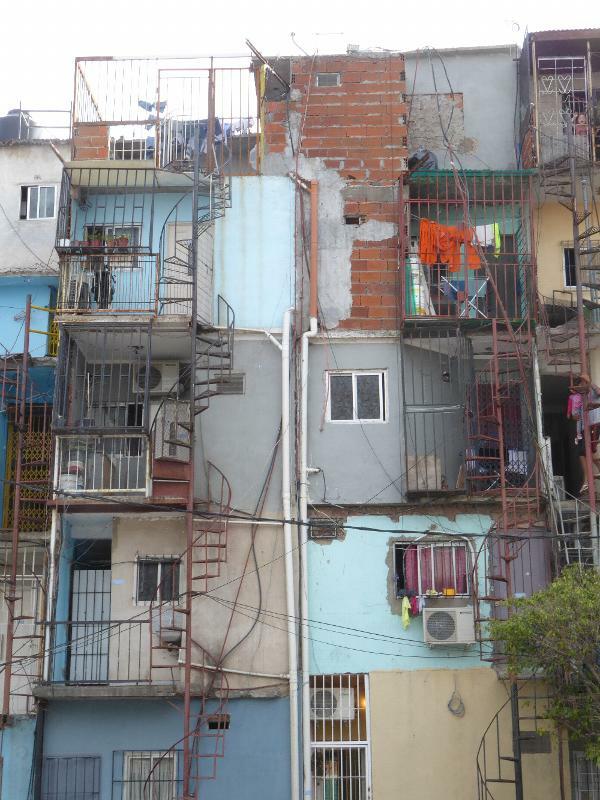 These places have different names in different countries, but in Argentina a place like this is often called a villa miseria, from the 1957 novel of that name by Bernardo Verbitsky. This one reaches extraordinary heights, with the space-saving device of external, spiral stairs. Security is apparently on everybody's mind. 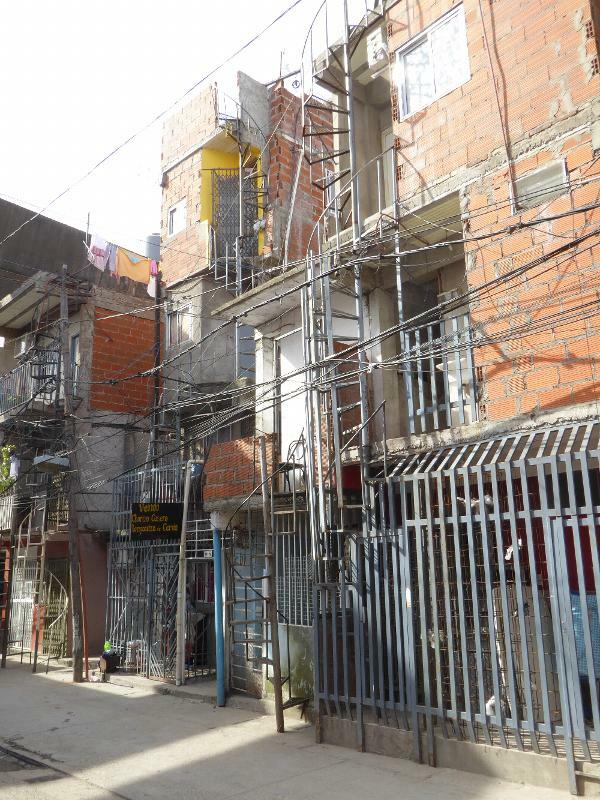 Buildings here as late as 2000 only reached a maximum of four floors, but the population is growing--mostly of foreigners from Paraguay, Bolivia, and Peru. Between 2009 and 2014, the population rose from 26,000 to 40,000. 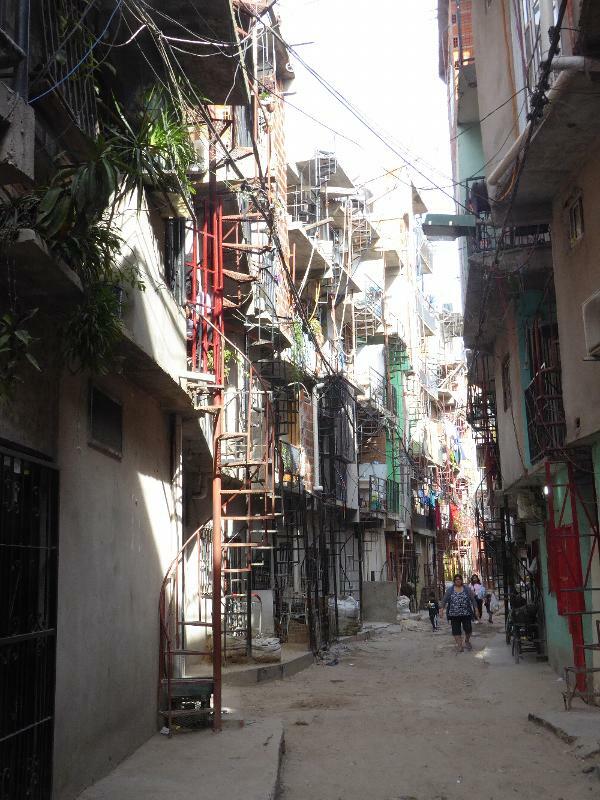 Higher floors became a necessity because the neighborhood is hemmed in by the tracks on one side and the city's port on the other. A visitor isn't likely to read about Villa 31 in any guidebooks but is very likely to catch a glimpse from the Illia Highway, which runs right through it. Make the most of it: "The Bridge Ice Cream Shop." 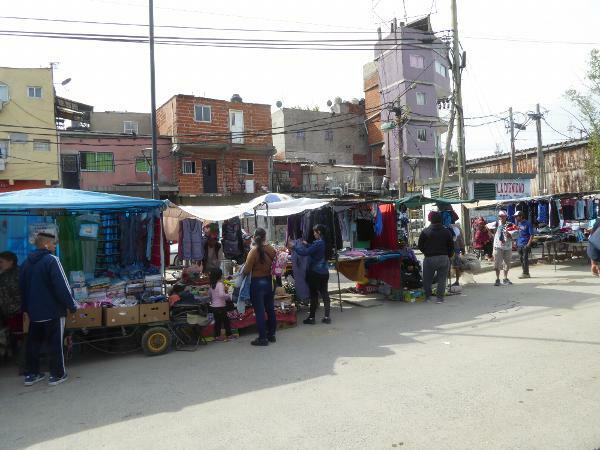 A mobile market set up at one end. 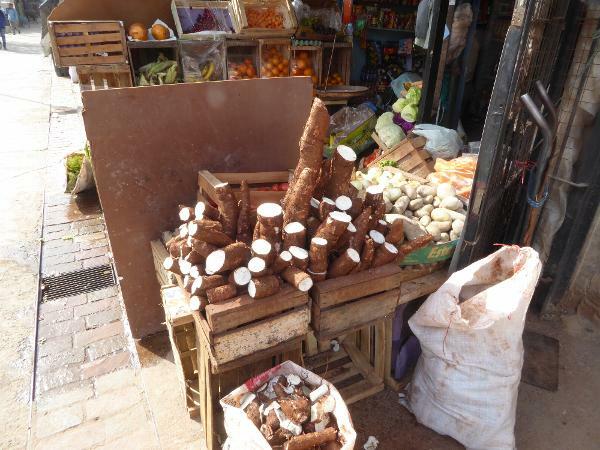 Argentina is an insignificant producer of cassava, but half of Villa 31's residents come from places where it's the staple. Are we looking at imports? Good question.